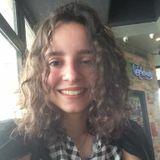 Want to connect with Ivana? Nice to meet you! My name is Ivana. I am seeking a home cleaning provider position in Ashburn, Virginia. I am committed to being a hardworking employee. I can be available as needed. I can take care of kitchen cleaning, bed changing, and basemeent clean up. Further, I own all necessay supplies. With respect to previous training, I have multiple years of experience. The owner of ABSOLVE, an environmentally friendly cleaning company, wants to make houses and offices sparkle!